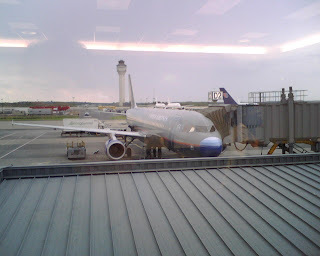 I was at Dulles International Airport the other day and spotted a United Plane with two different color schemes. Obviously United Airlines has run out of replacement parts and started robbing them from other planes. The first thing I thought about is that this plane kind of looks my first car in high school, a 72 VW bug with two different color doors. Pimping your airplane really doesn't inspire much confidence in United Airlines maintenance.